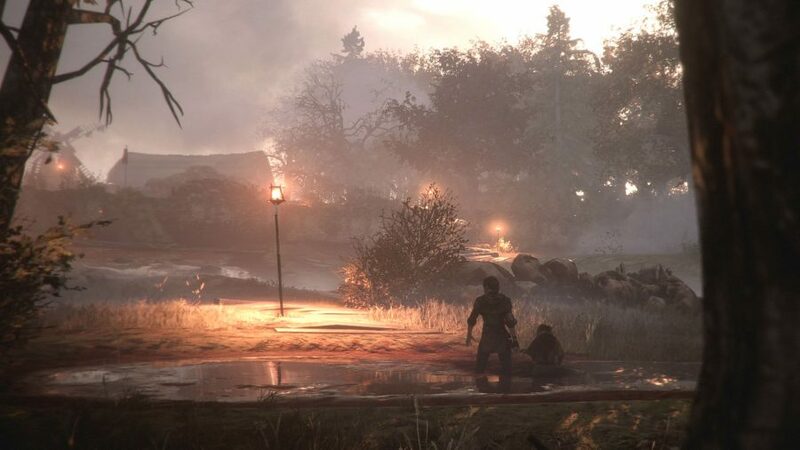 The rats are at the centre of A Plague Tale: Innocence’s gruesome stage. Asobo Studio will tell you its medieval tragedy is about two children trying to survive the black plague that decimated the 14th century – but no, it’s the bloodthirsty rodents who are the stars. Alright, alright, the non-rat and very human protagonists, Amicia and her brother Hugo, have to journey through war-torn France to escape the mysterious Inquisition, and you follow them on that journey. But they do all this while under grave threat from swarming masses of tiny teeth that devour anything that steps into the dark. 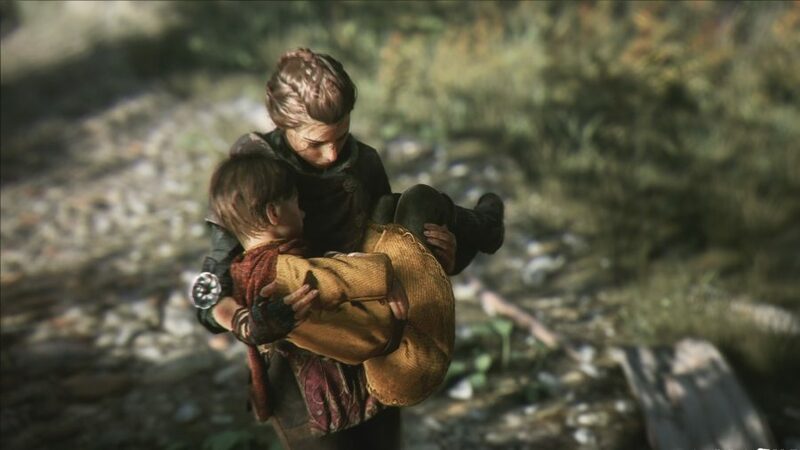 The story of Plague Tale indulges in the darkness of European children’s tales, enough so that, in my write up of the game’s first three chapters, I compared it to a gory medieval fairytale. As Amicia and Hugo continue on their sorrowful adventure into the fourth chapter, I sense the terrors of the game starting to shift. Once strung together by elements of devilish fantasy, it’s turning into historical horror, as the threat of the rats becomes overshadowed by the ghastly acts of human violence and war. 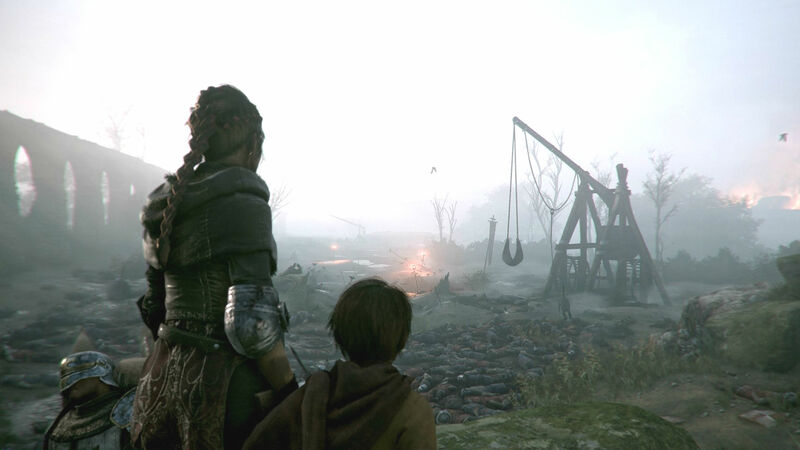 The bloody conflict between the French and the Brits in the Middle Ages is the backdrop for A Plague Tale: Innocence. In the first couple of chapters, there’s very little information about France’s struggle with other countries. There was a brief scuffle with the Inquisition at the start of the game and the only mention of war is through the idle chit-chat of soldiers. I was preoccupied with surviving the hordes of hungry rats so France’s international relations weren’t at the forefront of my mind previously, but in chapter four, the bloody war with Britain is brought into the foreground. In this chapter, the children have escaped to the countryside and are following a stone aqueduct that’s leading them away from the grasp of the Inquisition. After following this route for some time, Amicia and Hugo are faced with a horrific scene – the aftermath of a horrendous battle. There are hundreds of dead soldiers splayed across the muddy landscape, masses of human corpses soaked with blood. There’s no way of telling the difference between French and English soldiers; all the bodies just blur into a singular mass. Then, of course, there are rats everywhere. Crossing the battlefield requires the same mechanics as in previous chapters. Using Amicia’s catapult, you can launch ignifer crystals at lanterns and bales of hay to light them on fire, creating a safe pathway of light through the aftermath, avoiding bodies as you go. However, there are sections where there is no way around the piles of dead soldiers, and so the children have to slowly step on the corpses to get to the next area. 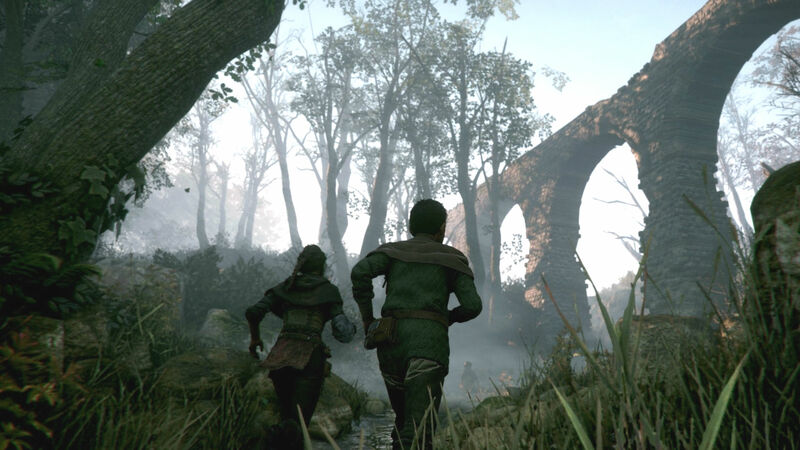 This bloody battlefield is a reminder of the wider context of Plague Tale’s story. Not only is France suffering under the wrath of an insidious disease and flesh-eating rats, it’s also caught up in a violent war. This is the first time that Amicia and Hugo have to face the realities of the war and it’s a shocking reveal for you and them. At this point, you’ve seen the rats attack individuals and small groups of people, but nothing close to the scale of this gory scene. It seems to have a disturbing effect on Amicia, as something sinister starts to slowly surface in her, illustrated when she takes a small step towards violence in order to protect herself and Hugo. As the children make their way through the battlefield there are members of the Inquisition sorting through the bodies. These soldiers will kill you on sight, meaning that you usually have to sneak past them, but this chapter introduces another way of handling them. We’re back to the rats. Previously, the rodents were obstacles to avoid, but as Amicia and Hugo get increasingly desperate, they see the rats can have a use as a weapon against the soldiers. Asobo Studio want to really drive home Amicia’s and Hugo’s loss of innocence here, but Amicia’s use of the rats also alludes to what could be a greater problem: what could happen if the rats were manipulated by someone with nastier intentions? France is clearly a country in ruin, and it’s not purely from the wrath of the rats – this battlefield is the horrid result of human decisions. It makes you wonder who the real monsters of A Plague Tale: Innocence are.